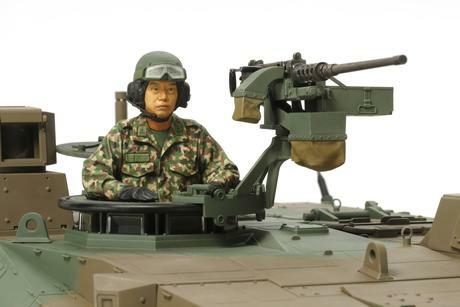 The Type 10, of course, is the high-tech modern addition to the Japan Ground Self Defense Force (JGSDF), and comes loaded with state-of-the-art features such as a newly-designed 120mm smoothbore main gun, and modular armor. It was built to a relatively small and lightweight design for suitability of use in the mountainous Japanese archipelago, and offers excellent speed and maneuverability. Perhaps most importantly, it was also designed to be compatible with the modern C4I communications network system. 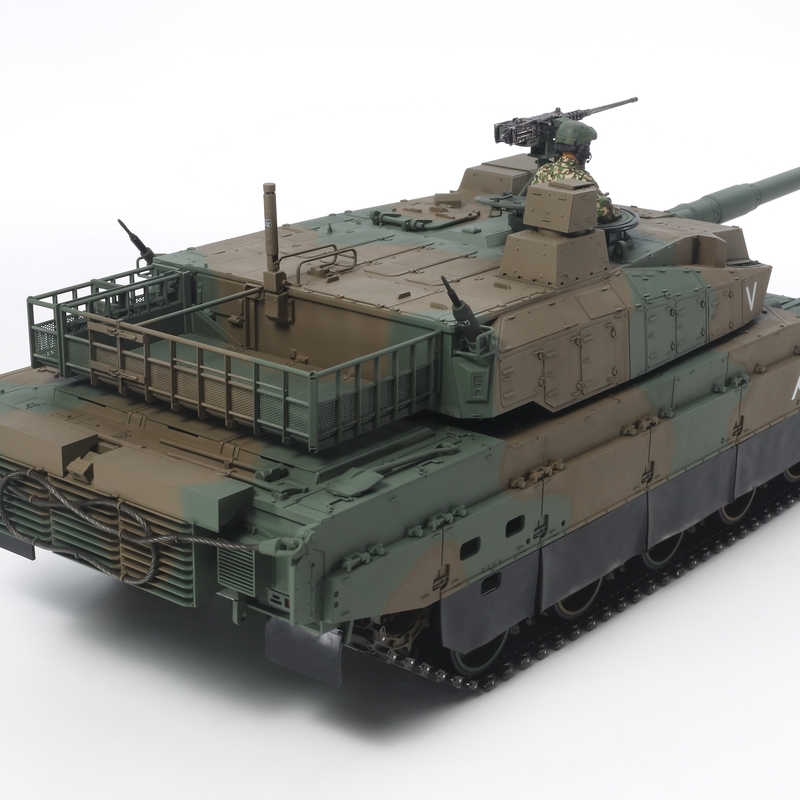 Deployment started in 2012 and continues apace as the Type 10 looks set to be a key element of Japanese ground defense armor. 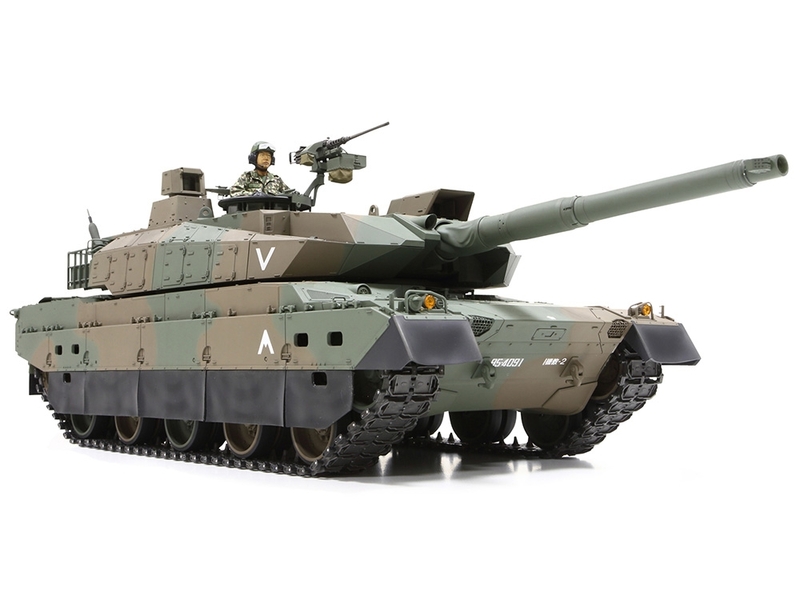 The model depicted by Tamiya was first introduced in 1/35 scale then later as a 1/16 R/C tank. 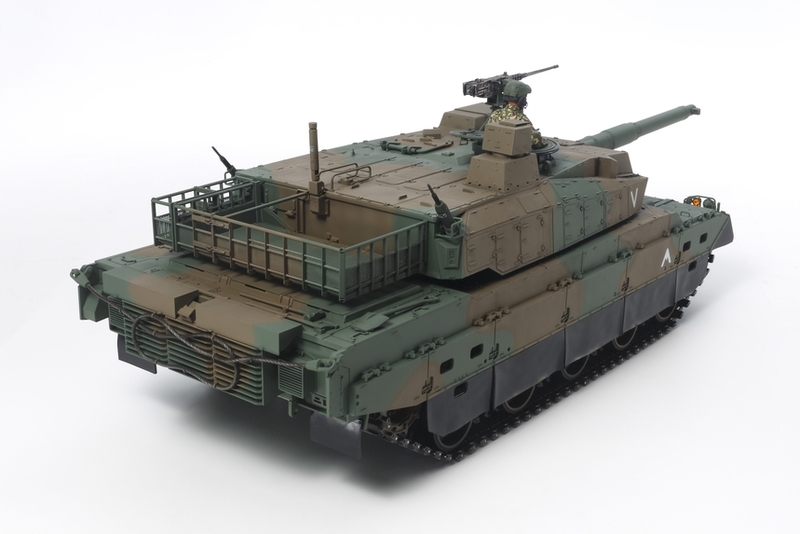 This variant is a static model version without all the RC components for modelers wanting to build the largest scale version of the Type 10. Special Feature 1 Length: 590mm. Special Feature 2 The model accurately reproduces the form of the latest production version called C3. Special Feature 3 Includes aluminum gun barrel and photo-etched parts to depict the turret rear basket mesh, light covers, and engine deck meshes. Special Feature 4 Assembly type tracks as well as resin side skirts offer highly realistic finish. 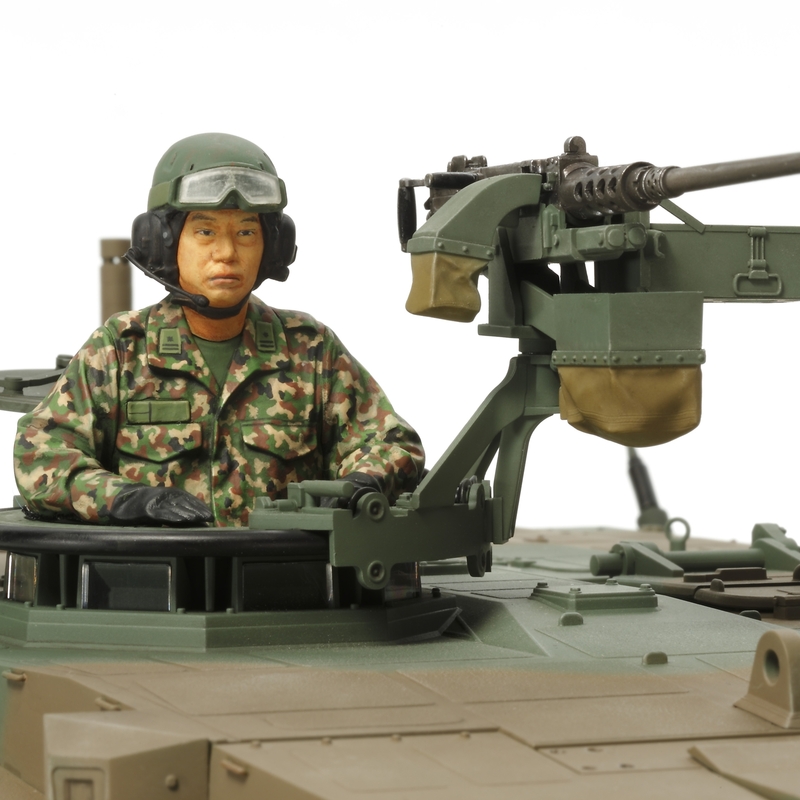 Special Feature 5 The exterior has been recreated in a high level of detail, including hull surface texture, a number of small hand rails and the turret-mounted M2 heavy machine gun.